How long has there been ultimate in UAE? I’m honestly not too sure as I have been here just over 4 years, but it can’t have been much longer than that. The improvement in the community during that time has been outstanding with regards to numbers and quality of play. How many locals / expats play? Locals you could find maybe 2 or 3, almost everyone else in the community is an expat. 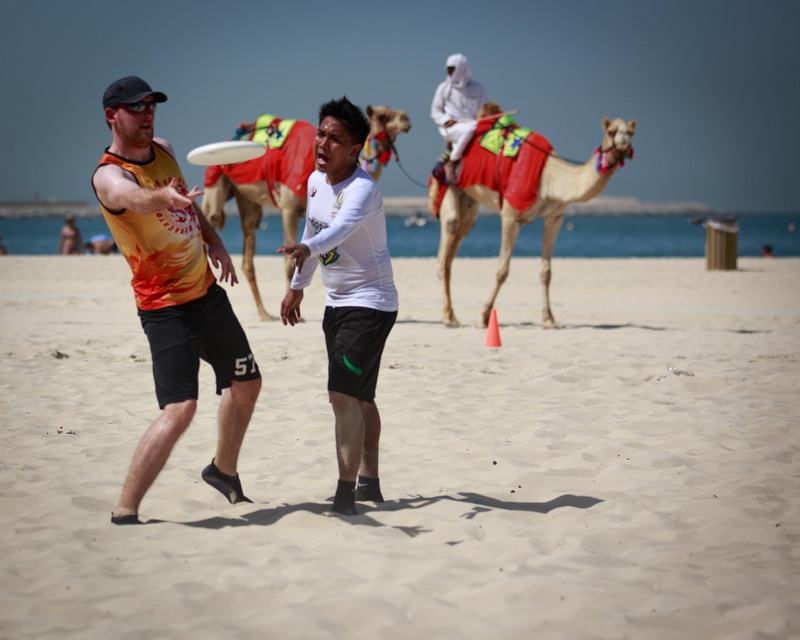 The local organization, United Arabian Ultimate, is hoping the event will attract more locals to participate in the sport. How many teams, and is it just in one city or further afield? The teams chop and change a bit, particularly with Worlds being announced, but Dubai has around 3 fully-established teams and Abu Dhabi has one as well. When it comes to local tournaments you get between 5 to 8 teams playing. How would you describe your playing style? How much experience does the team have? I co-captain the mixed team and the initial challenge was that everybody has a different opinion on how we should play, but I’m glad to say we seem to be over that. 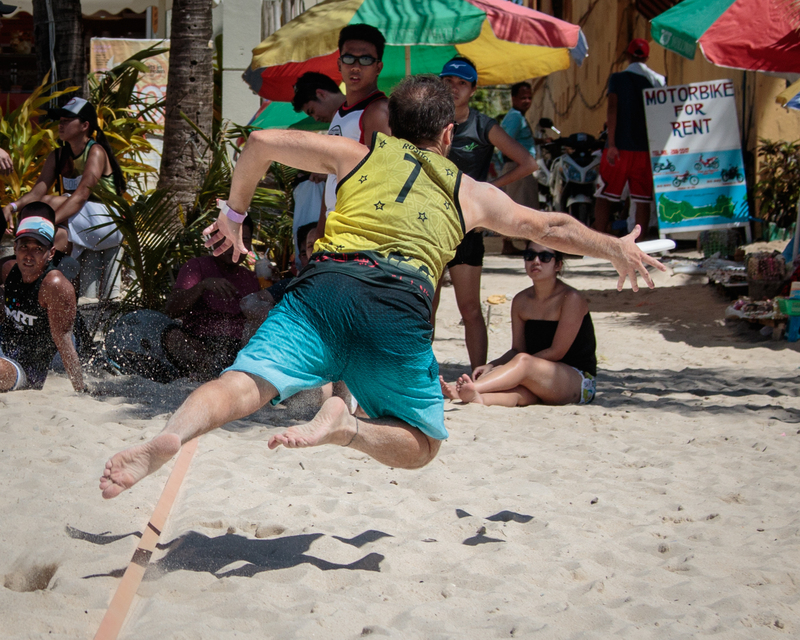 We sent a team to Boracay Open this past January and we definitely came back with the Filipino mentality of short, quick give & gos will work well for us on the sand. Our experience varies a lot because we are still a developing ultimate community. Do you get to play against many other teams from neighbouring countries? Occasionally we would see a team from Saudi or Qatar visit for a tournament but not really to be honest. It will be a fantastic experience for the community here to all be on the same side and supporting each other for once! WCBU, you must be pleased you don’t have to travel too far? It’s a huge benefit for us. We know the beach, our costs are next to nothing and we have the best players available to us. Everyone is really excited for playing the tournament, but there is also a real buzz to show everyone the city and try to make WCBU2015 the best beach tournament there has ever been. Performance wise it’s a little difficult to say, you never really know how good the opposition will be. We just have to take it one point at a time and do our best. Who are you looking forward to playing, why? To be honest, everybody! Personally I am actually looking forward to our first game against Ireland. I played in Brazil in WCBU2007 for Scotland, and Ireland beat us by a few points. It’ll be interesting to see how they make the transition with the climate – but knowing their former captain and some previous Irish players, I am certain they will be a very good side. The first game of the tournament will really set the tone for us. In WCBU2007 our second day was USA in the morning and Canada in the afternoon, I woke up in the worst mood ever because we knew we would get beat badly. USA beat us 13-1, but as it turned out Canada were a weak side and we beat them significantly – hence I don’t make predictions at this level! Grass vs sand? Do you have any grass to play on? A lot of our players in the UAE are teachers, so we often get grass fields from schools. I actually prefer playing on grass, but our squad practices on both. Making the move from 5v5 to 7v7 has been very difficult for us. I am happy to say though that the beach training have been going a lot better than the grass training, so we’ve stopped the grass sessions now. Will we see UAE teams at future grass worlds like London 2016? 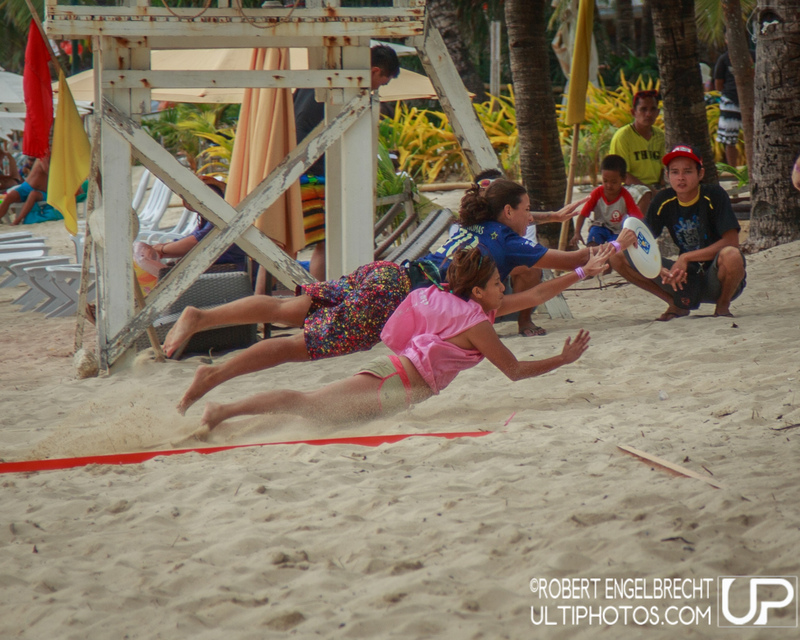 We are gaining a global presence at international tournaments like Paganello and Boracay Open, normally on beach though. Grass tends to be higher standard with larger squads. We are definitely moving towards that but I think it will take some time. So many of our players are teachers so it probably depends on school holidays. Anything else you’d like to add / I should have asked you? I would like to give a big thanks to the local organising committee and the team Captains. They have all been doing a fantastic job. If you had any idea how much work has gone into organising this tournament over the past 14 months by the LOC you’d be amazed. They have secured some of the city’s best nightlife spots for the parties, free WiFi at the pitches, the backing of the Dubai Sports Council, nice hotels for players to stay in, live-streaming of games on national TV, etc. This tournament is going to raise the standard of international ultimate events. The team captains have been outstanding as well, I haven’t seen much of the Open team practice but they have a strong squad who I am sure will do very well with Alex & Adna. We often train next to the Women’s squad and to see them become so well-drilled and playing with such intensity is a bit bizarre because it seemed to happen overnight after Amie & XT got put in charge – they are going to cause some major upsets if they play as they have been. Matt, my co-captain for the Mixed squad, has been awesome as always. See the UAE Open Team interview here. ← Derek Robins, UK Frisbee golf legend, Hall of famer, and Disc Golf course grower!